Assault Android Cactus, the action-packed arcade-style twin-stick shooter by Witch Beam, arrived on the Xbox One Marketplace yesterday for $14.99 USD. Supporting the Xbox One X with native 4K 60fps and debuting an optional developer commentary, this multi-award winning title has a 30-minute free trial to give potential players a taste of what is to come. The battery is life in Assault Android Cactus, but its power slips away with every second. Dive, guns blazing, into massive mobs of mechanical monstrosities to collect power-ups or batteries from fallen foes and keep the android heroines in battle. With the Genki Star space freighter in trouble from renegade robots, Junior Constable Cactus and her friends plunge head first into 25 action-packed levels and battle against five massive bosses to take back control of the ship. Thumbs will be put to the test in a sea of bullets at every turn. Once the vessel is safe, players can launch into new modes pitting them against endless waves of enemies or taking on all the bosses at once. Androids itching to test their skills in new ways can try their hand at Daily Drive, the mode that offers a new challenge each day. Unlock EX options to switch up the game with powerful MEGA weapons, enter first-person mode, or gain an A.I. partner. The end of the story is just the beginning for Assault Android Cactus. 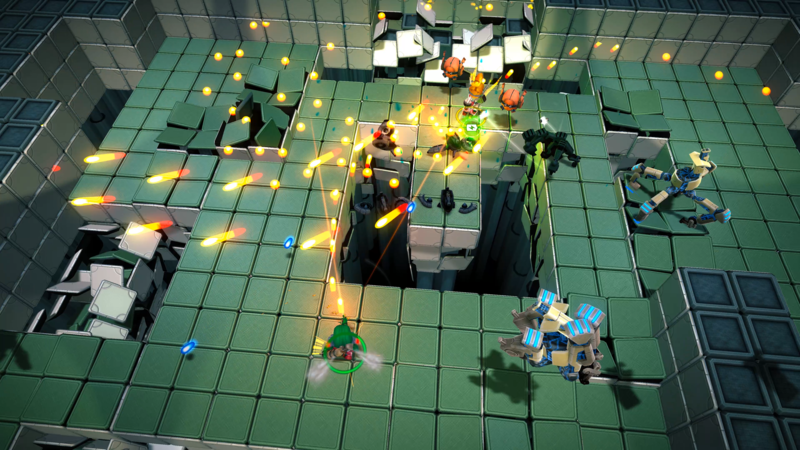 Assault Android Cactus is also available for PlayStation 4, Windows, Mac and Linux. It supports the English, French, Italian, German, Spanish and Japanese languages. For more information about Assault Android Cactus, please visit the official website or follow the game on Twitter and Facebook. Previous Titan Comics to Publish Bloodborne Comics- Will They Be As Hard as the Game Itself?